1.5 Food intolerance is an adverse reaction to food, which does not involve the immune system actions. Is My Dog Allergic To His Food? He seems to have developed severe itching, loss of appetite and has lost hair alot could he be allergic to dog food? If you suspect your dog to be allergic to his food, you will need to run a dog food elimination test. This is when you withdraw all dog food, then reintroduce it one at a time until you find what food is causing the dog allergic to his food. Dog food allergy can be life-threatening whereas dog food intolerance is a ‘masked allergy,’ i.e., it may not cause a life-threatening symptom such as restricting air intake caused by swelling of the tongue and esophagus. If your dog needs to do a basic Food Intolerance Test, a local vet should be able to help. Dog food Allergy is the hypersensitivity to a foreign protein that produces a violent reaction, sometimes a fatal reaction, taking the form. Hay Fever, e.g., sneezing, runny eyes etc. In defense of these Allergens, the body produces Antibodies to fight off the Allergens. However, violent reactions occur when the body overreacts to the Allergens. Dog food intolerance is a ‘masked allergy’ – in other words, the severe reactions are not exhibited. BUT, these ‘lesser’ symptoms are not harmless – they may not kill your dog but food Intolerance is the prime cause of many niggling, long-term problems that can run down your dog’s immune system and make the dog feel ill over time. Many dog owners have their dogs suffering from exocrine pancreatic insufficiency, while you may think you have every angle covered for your dog, sometimes dogs health can turn on its head from nowhere, and exocrine pancreatic insufficiency in dogs will catch your dog when you least expect it. The best this you can do for your dog is to make sure you give him all the care he needs to be ready for anything thrown at him. 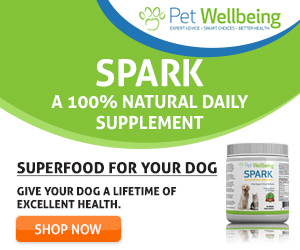 Dog pancreatic enzyme supplements are one of the many things you can do to offer your dog that safety net he needs from pancreatic insufficiency. This problem is very widespread, but we are continually told to make sure we eat enough dairy product !!! These foods contain the gliadin subfraction of gluten that is toxic to persons with Celiac Disease. Eliminate The Cause, I.E., Eliminate Certain Foods.